Religious beliefs can be lethal. But most religious beliefs seem harmless. Take the traditional Catholic belief in Limbo, where unbaptized infants spend eternity. It’s not Heaven, but it’s not Hell either. Catholics who believe in Limbo might be very upset that an infant is not going to Heaven or relieved it’s not going to Hell, but they’re not likely to harm others because of it. Or take keeping kosher. Strictly observant Jews follow a complex code that dictates what they can eat. Keeping kosher doesn’t hurt anybody. Observant Jews can’t eat off the plates of those who don’t keep kosher and might offend the odd Gentile by seeming to imply that her dishes are dirty, but strictly observant Jews don’t usually eat with Gentiles anyway, which is probably the point of the dietary laws in the first place. But Montana is different. In Montana, a Jew who doesn’t eat and socialize with Gentiles is going to be a very lonely hermit. Of course, observant Jews don’t tend to settle down in Montana, and those who do don’t tend to be strictly observant. But among not strictly observant Jews, there is a certain picking and choosing about exactly what to observe. At a minimum, a Jew might decide not to eat pork or shell fish and let it go at that. A Jew could go that far even in Montana. Monte Leon Hanson is such a Jew. Hanson is a resident of Hamilton, Montana, a town with a population of 4,348 and, as you can imagine, no synagogue. One morning Hanson went into the local bar, probably one of several local bars, and ordered a red beer. A red beer, sometimes called a bloody beer, is 12 oz. of beer mixed with a half a cup of tomato juice, a dash of Worcestershire sauce, and a dash of hot sauce. It’s a popular hangover cure. Joe Lewis, the bartender and a neighbor of Hanson’s mixed the red beer and served it to Hanson. Maybe Hanson took a swig of his red beer and immediately realized that Lewis had used Clamato juice instead of tomato juice. 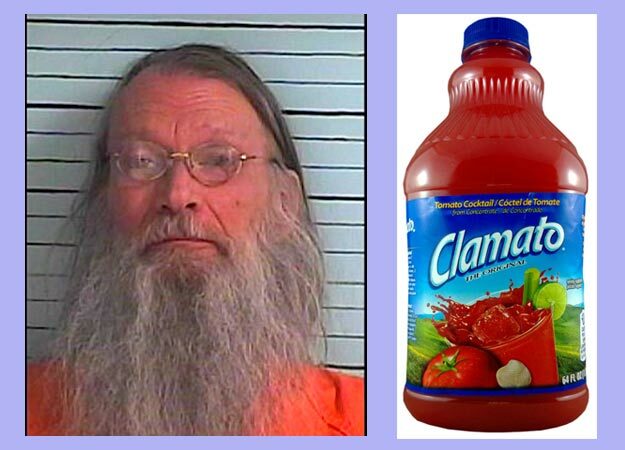 Maybe Hanson had finished the red beer, and Lewis told him he had made it with Clamato juice. In any case, Hanson was furious that he had inadvertently violated his dietary law and must have thought that Lewis was a flaming anti-Semite who tricked him on purpose into ingesting juice made from clams. Eating shell fish is an abomination strictly forbidden by the Torah. If Lewis did do it on purpose, then Hanson must have talked a lot about his dietary restrictions because the Torah’s ban on shell fish is not widely known among Montana’s bartenders. What happened next is very Montana. The following morning, Hanson confronted Lewis as he was leaving their apartment building carrying his pit bull, which had a leg injury. Hanson shot Lewis six times, hitting the dog in the head and killing it. Lewis was his in the ribs but survived. The dog’s head may have saved his life. Hanson was sentenced to 20 years for attempted murder and one year, to be served concurrently, for animal cruelty. He will serve his sentence in the Montana State Prison. Amazingly, the Montana State Prison offers kosher food to inmates who request it. Can anyone explain to me how someone like a Hanson, who believes a ritual religious observance to be important to his life, cannot understand that religious ritual is intended to enhance moral/ethical behaviour, and not undermine it? How can he come to imagine that killing someone (undoubtedly that’s what he tried to do) is a justifiable response for the “sin” of the bartender? How sad it is that we have to share the world with such people. Hanson is a very rare variety of wacko. I’ll bet that bartender will be careful about what he puts into a red beer from now on.